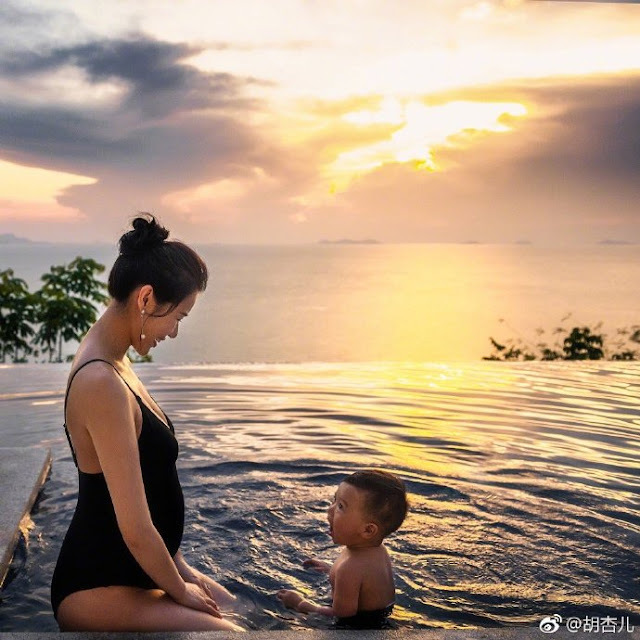 Recently, Hong Kong actress Myolie Wu once again took to her social media to share some new snaps of her noticeably bigger baby bump while on vacation in Koh Samui, Thailand. 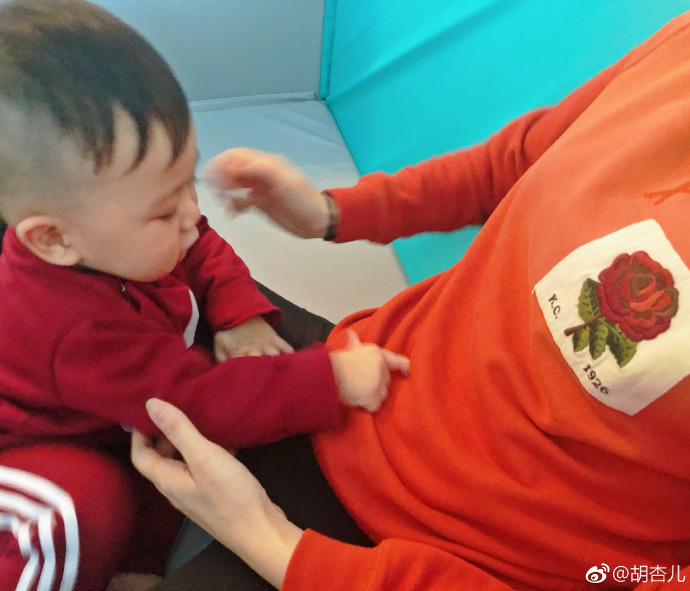 Set against a backdrop of a brilliant orange sunset, the actress proudly displayed her rounder bump in profile together with her son in one of the photos. I wonder if big brother is excited for the birth of a new sibling? 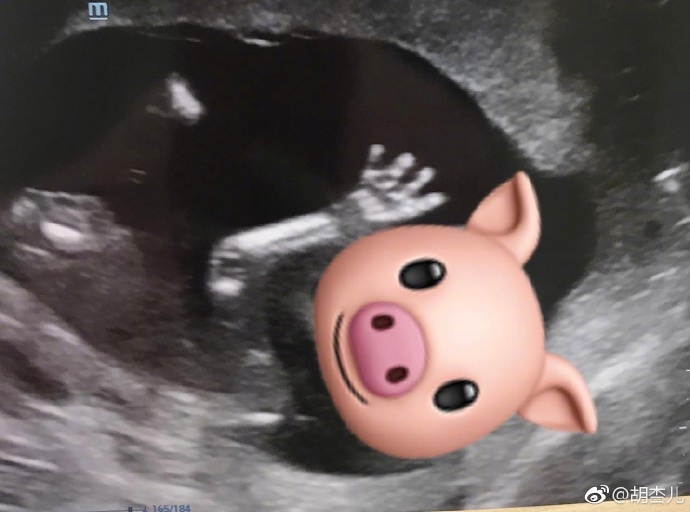 After months of speculation regarding her much fuller figure, Myolie finally confirmed earlier this year that she and her husband are happily expecting baby number 2 to be born in the Year of the Pig. Together with her announcement on her various social media platforms, the actress uploaded a photo of her baby's ultrasound which she captioned, "baby pig finally joins (the family), the Lee's farm can now be opened", alluding to her family's various animal signs in the Chinese zodiac. She also uploaded a second photograph showing her toddler son adorably poking her bump.